Providing you the best range of pvc water stopper seal with effective & timely delivery. 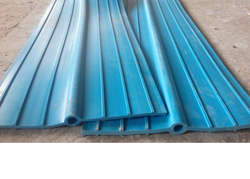 Being a customer focused organization, we are engaged in manufacturing, supplying, wholesaling, trading, retailing and exporting finest quality PVC Water Stopper Seal. We manufacture these seals using high quality plasticized PVC. Our product-line is efficient in instant prevention of water seepage and helps in saving water from wastage. These products can be customized on the basis of the clients' requirements.